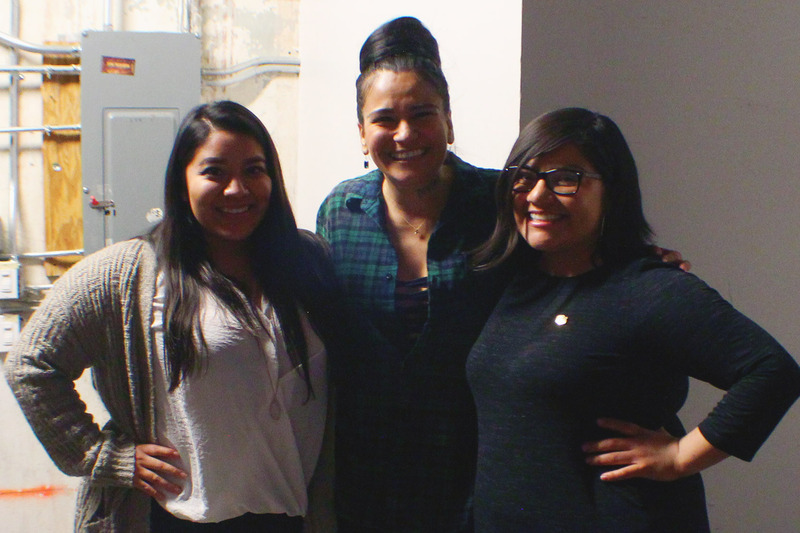 DENVER, Auraria Campus– Prisca Dorcas Rodriguez, founder of Latina Rebels, closed the 21st Annual Women’s Leadership Conference with laughter, realness and advice on March 9, 2017 at the Metropolitan State University of Denver. A racially diverse audience of about 70 people gathered at the Tivoli Turnhalle sighing, laughing and gasping in unison during Rodriguez’s engaging comments. 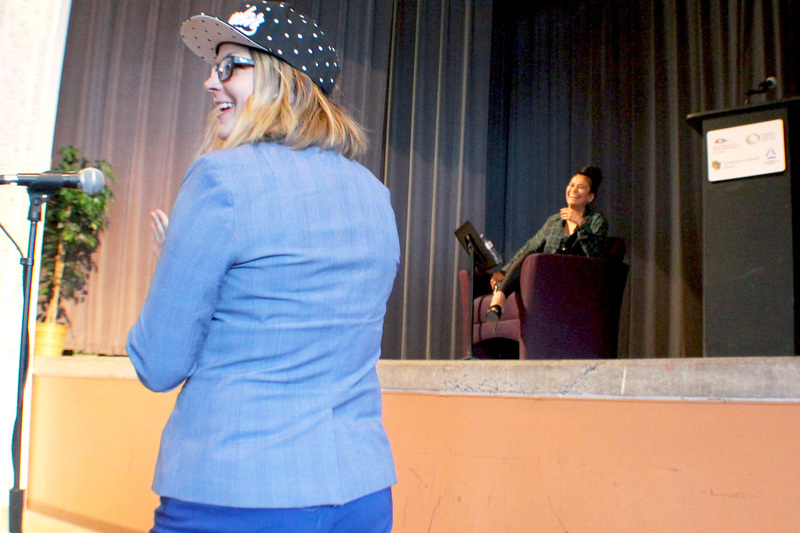 MSU Denver Chicano studies professor Christina M. Sigala said that inviting speakers like Rodriguez to the campus is imperative for the retention of students of color at MSU. Rodriguez opened the keynote by sharing a disclaimer to those in the room. She told everyone that she uses profanity in her speeches, that her presentations are conversational, and finally that she tells stories in abuela narrative in a non-linear fashion. “Yes, mija, say it,” Sigala said. Rodriguez spoke about her journey as a young Nicaragüense uprooted from her homeland and transplanted in Miami. She shared about the obstacles she faced trying to attend college, the oppression she endured as a brown student and her continual struggle to honor her parents while she unapologetically tells her truth. The conference she closed as a keynote was titled #sorrynotsorry: Unapologetic Leadership, and centered topics of self-preservation, deconstructing myths of leadership, embracing conflict and wellness for women leaders. During the first breakout session of the conference parenting students, Queer and Trans people of color and undocumented students each had their own caucus spaces to gather, connect and exchange information with each other. Rebecca Reid, an MSU Denver senior, attended the workshop titled Debunking the Gender Socialization of Leadership and said that the nugget of knowledge she took from it was the concept of amplification. She feels that the voices and opinions of women get brushed over and ignored constantly. “Amplification helps us reinforce the ideas and visibility of other women. It is something that I have practiced but now have a name to the concept,” Reid said. Rodriguez also spoke about classism and elitism impacting universities and college students. She went on to explain that being woke, being aware of the oppression, and actively analyzing and deconstructing it comes with downfalls. “Being woke means that you will be displaced,” Rodriguez said. The Women’s Leadership Conference has been creating space for women’s leadership and empowerment since 1996 and conference organizers plan on continuing the legacy for years to come. 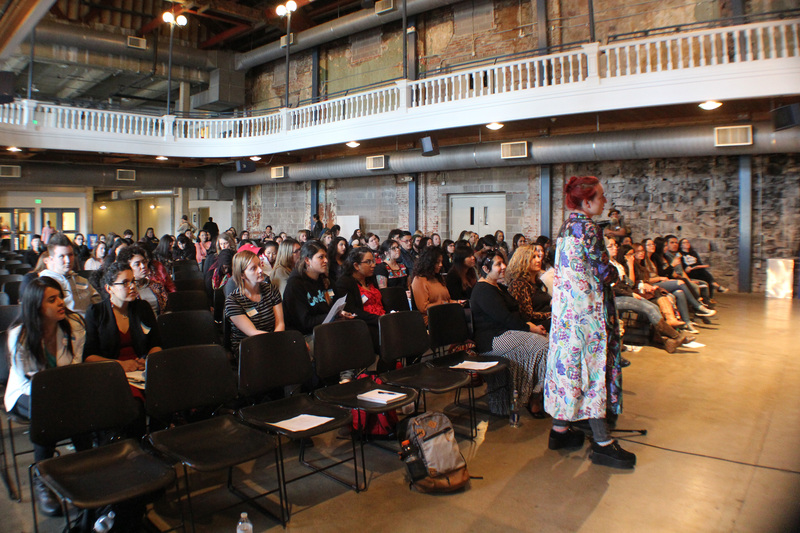 Each year the conference features workshops, presentations, panels in an academic setting that brings women and people of other genders together to discuss and share knowledge about leadership. Rodriguez assured the audience that wisdom and education comes in different forms and is not exclusive to formalized higher education. “You don’t need an education to be woke. My Mami is woke as f*ck,” she said. Sanchez agrees with Rodriguez that there is a specific wisdom that comes from being the children of parents who uprooted and replanted in a foreign land specifically for their families. Visit Latina Rebels on Twitter @latinarebels or through their Tumblr page. You had a lot of great quote. Many kudos to you for engaging with multiple perspectives. This is a great event to cover, and you covered it really well. There’s a lot of detail in the story, not just about the keynote speaker, but the rest of the conference as well. Those details are important. Great quotes as well. Great story. You used a lot of awesome quotes in this story. You also had a lot of details within the story to tell us all about what the event was. Awesome job. This was great ! As a Latina, I enjoyed reading about these empowered women. I really appreciated the different perspectives. Great job and I like the photos! The quotes added a lot of great depth to the piece! This was a very well covered event! Good job! A real “attention getter!” This was a very informative story with much detail. You are exceptionally talented with getting a point across without boring the reader. A substantial story that kept my attention until the end. The pictures included are really great and give the story character! This was a really interesting event, something I would definitely attend in the future!